As Twitter has done with everything from the World Cup to Taylor Swift music videos to historic Supreme Court rulings, the site just added a new Star Wars-themed emoji that pops up automatically alongside a specific set of hashtags. (Twitter actually did something similar during Star Wars Celebration back in April when emoji C3POs, Stormtroopers, and BB8s were added to Star Wars-themed tweets.) This time around, the emoji is an X-Wing, and it’s designed to build anticipation for the release of brand new Star Wars toys this Friday. As we previously reported, the new toys are currently being revealed in an 18-hour YouTube event in which popular personalities unbox one toy per hour. Disney is going all out building anticipation for tomorrow’s “Force Friday,” where select stores will open at midnight to hawk these new products. But even those who don’t feel like visiting a store in the middle of the night can still get in on the emoji fun by tweeting out the appropriate hashtags. Some of these make sense, like #ForceFriday, #XWing, #StarWarsXWing, #PoeDameron (the X-Wing pilot played by Oscar Isaac in The Force Awakens), #PoesXWing, and #Jakku (the desert planet seen in the trailer). But Disney also went ahead and claimed the word #Resistance, seemingly assuming that the only people who might be involved in a resistance movement are fictional. 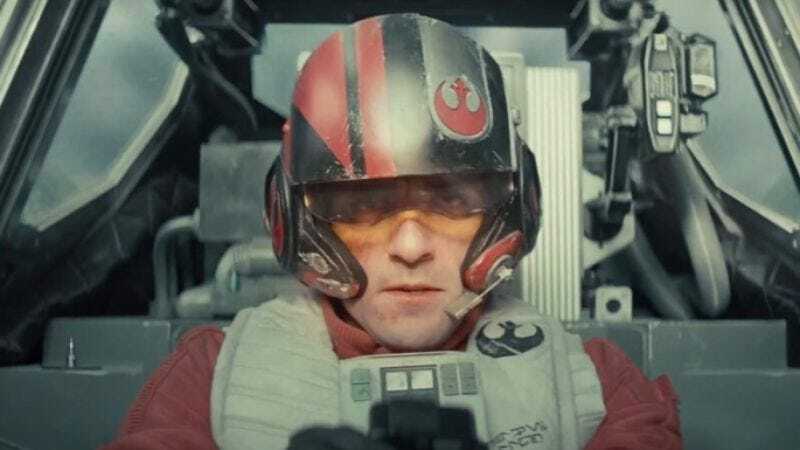 The hashtag #OscarIsaac also calls up the X-Wing emoji, so all those trying to share their thoughts on Isaac’s performance in Show Me A Hero will just have to make due with an incongruous spaceship in their tweet.